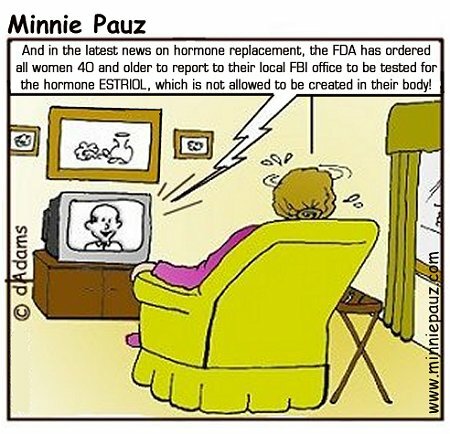 The U.S. Food and Drug Administration (FDA) sent letters warning seven pharmacy operations that the claims they make about the safety and effectiveness of their so-called "bio-identical hormone replacement therapy," or "BHRT" products are unsupported by medical evidence, and are considered false and misleading by the agency. FDA is concerned that unfounded claims like these mislead women and health care professionals. 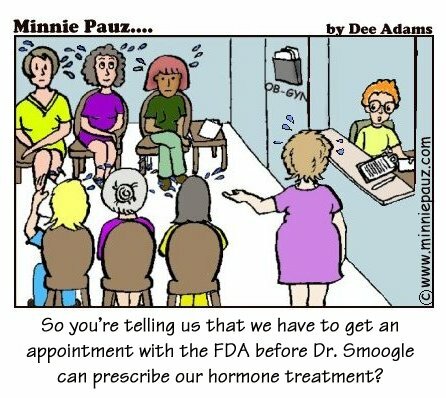 The pharmacy operations improperly claim that their drugs, which contain hormones such as estrogen, progesterone, and estriol (which is not a component of an FDA-approved drug and has not been proven safe and effective for any use) are superior to FDA-approved menopausal hormone therapy drugs and prevent or treat serious diseases, including Alzheimer's disease, stroke, and various forms of cancer. FDA is concerned that the claims for safety, effectiveness, and superiority that these pharmacy operations are making mislead patients, as well as doctors and other health care professionals. Compounded drugs are not reviewed by the FDA for safety and effectiveness, and FDA encourages patients to use FDA-approved drugs whenever possible. The warning letters state that the pharmacy operations violate federal law by making false and misleading claims about their hormone therapy drugs. "We want to assure that Americans receive accurate information about the risks and benefits of drug therapies," said Dr. Janet Woodcock, FDA's chief medical officer and acting director of the agency's Center for Drug Evaluation and Research. "In addition to today's regulatory action, FDA is publishing an informational article for women on its consumer health information web page that provides the facts to make informed decisions about these unapproved therapies. Women taking these drugs should discuss with their health care providers the drugs' risks and whether they're getting effective treatment." 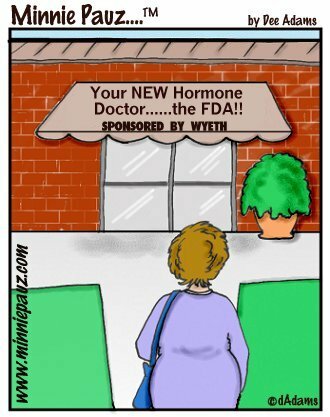 The pharmacy operations receiving warning letters use the terms "bio-identical hormone replacement therapy" and "BHRT" to imply that their drugs are natural or identical to the hormones made by the body. FDA regards this use of "bio-identical" as a marketing term implying a benefit for the drug, for which there is no medical or scientific basis. The pharmacy operations also make unsupported claims that their drugs are better than FDA-approved menopausal hormone therapy drugs and can be used to prevent and treat serious diseases such as Alzheimer's disease, stroke, and various forms of cancer. The pharmacy operations compound hormone therapy drugs that contain estriol as well as progesterone and estrogen. No drug product containing estriol has been approved by FDA and the safety and effectiveness of estriol is unknown. Firms that do not properly address violations identified in warning letters risk further enforcement, including injunctions that prevent additional violations, and seizure of violative drugs. FDA's action today does not target pharmacists who practice traditional pharmacy compounding and who do not make false or misleading claims about compounded products. Traditional pharmacy compounding typically involves preparation of a drug for an individual patient by a pharmacist in response to a valid prescription from a licensed practitioner. This compounding follows a practitioner's decision that his or her patient has a special medical need that cannot be met by FDA-approved drugs. FDA's current view on human drug compounding is addressed in its compounding Compliance Policy Guide, available at http://www.fda.gov/cder/pharmcomp/default.htm. FDA also responded today to a citizen petition from Wyeth, Madison, NJ, asking FDA to take regulatory action against compounding pharmacy operations that produce compounded "BHRT" drugs. Other stakeholders, including health care providers and consumer groups, have also raised concerns about "BHRT" drugs. All patients who use compounded hormone therapy drugs should discuss menopausal hormone therapy options with their health care provider to determine if compounded drugs are the best option for their specific medical needs. If patients or practitioners encounter problems with compounded hormone therapy drugs, they are encouraged to file a MedWatch report with the FDA at http://www.fda.gov/medwatch or by phone at 1-800-FDA-1088. For more information, see a consumer article called Bio-Identicals: Sorting Myths from Facts http://www.fda.gov/consumer/updates/bio ... 10908.html. Warning Letters and Q and A's are available at http://www.fda.gov/cder/pharmcomp/default.htm.